Posted By: Hellter Skelter 0 Comment Andrea, Anthony Nese, Bill Carr, Caleb Konley, Chris Hero, Dan Barry, DGUSA.tv, Drew Gulak, Ethan Page, Evolve Wrestling, Fred Yehi, indie wrestling, Johnny Gargano, Matt Riddle, Mike Bailey, Sami Callahan, Timothy Thatcher, TJ Perkins, Tracy Williams, William Regal, wrestling news, WWNLive.com, Zack Sabre Jr. The big EVOLVE double shot kicks off in Queens, NY tonight. Here’s all the info as well as a listing of the nine new Blu-rays/DVDs available at this weekend’s events!!! Tickets will be available at the door today! William Regal meet & greet will be at 5pm. It will be only $20 for an 8×10, autograph on any item you want and a picture (using your own device). 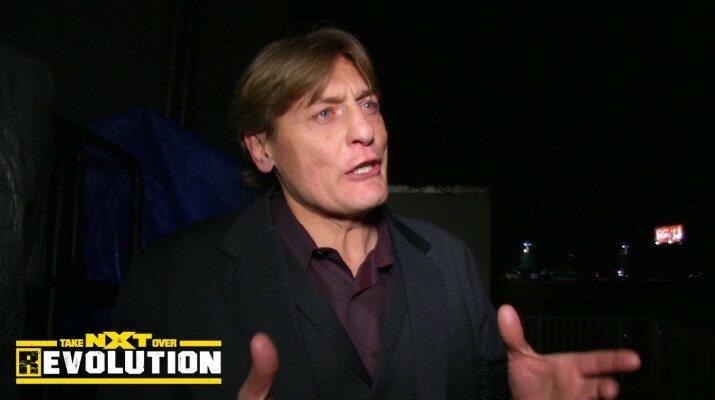 NXT General Manager William Regal will make news at EVOLVE today! Join us today either in person or on live iPPV! You can still purchase tickets for tomorrow night in Brooklyn in the DGUSA.tv. Go to the DGUSA.tv Events section for all the building and show info. Please note we will hold the Brooklyn tickets at will call and refund the shipping.